JPRchitect + Design: Brooke & Davis - married! It was a beautiful day for a wedding! All week the chance of rain decreased to 0% from about 40%... it was a gorgeous 72 and sunny. Someone was really looking out for these two! 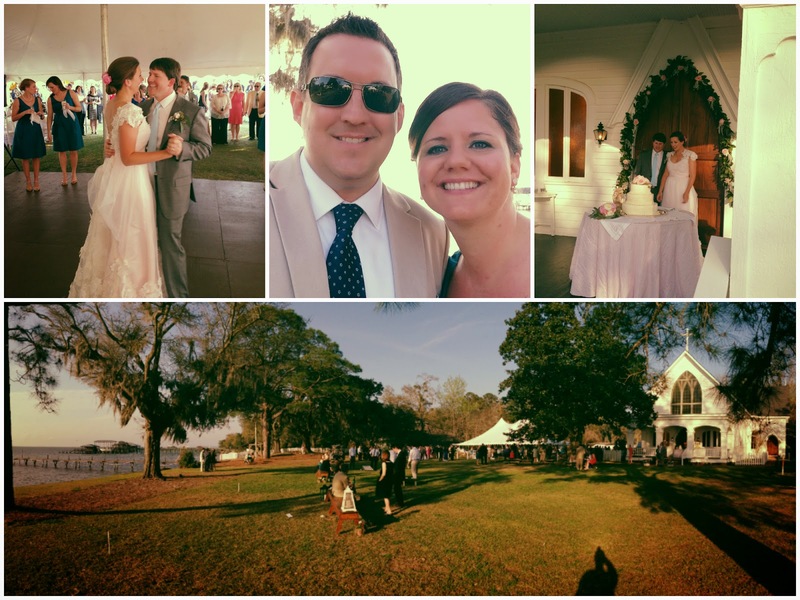 Custom dress, adorable white chapel and yard, key lime filled cake, fried green tomatoes... this wedding had it all. My heartfelt congratulations go out to Brooke and Davis! Have SO MUCH FUN on your honeymoon!